Located in the Whistler upper Village, the "Marquise" apartments are just a few minutes walk to a ski-in/ski-out access trail which leads to Blackcomb mountain. 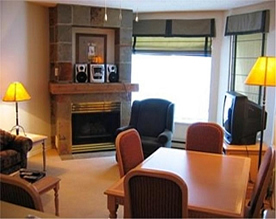 This featured Whistler ski accommodation is a 1-bedroom unit with double access bathroom and two vanity sinks outside of the bathroom area. Full kitchen, eating area and living room with a lovely gas fireplace. These units sleep up to 4 people with a pull-out sofa bed in the living room. 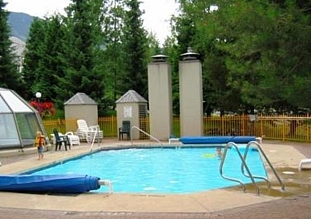 The Marquise complex has a large outdoor heated swimming pool. Please note that the Marquise underground parking is an additional cost and we can help you with your airport transfer from Vancouver International YVR as a car rental is not required in Whistler. 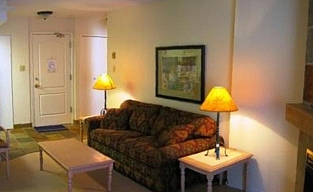 Contact us for more information or to book one of these Whistler 1-bedroom apartments.